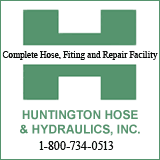 HUNTINGTON, W.Va. - The Marshall University Foundation held its eighth annual Donor Recognition Celebration event Friday, Nov. 2, at the Brad D. Smith Foundation Hall on Marshall’s Huntington campus. 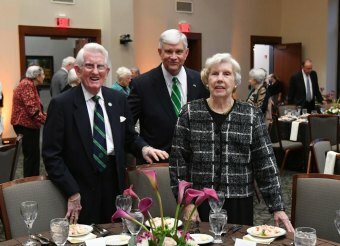 The event, which recognizes and celebrates the generosity of donors with lifetime giving of over $100,000 to Marshall University, welcomed a total of 22 new members. 20 of those members were recognized as President’s Circle members for their lifetime giving total of $100,000 to $250,000, while the other two became members of the Pathway of Prominence Society for their lifetime gifts of $1,000,000 to $5,000,000. The founding families of the Marshall University Foundation were recognized for their dedication to the prosperity of the university. Because of the insight of Frank E. Hanshaw Sr., D. Sterling Diddle, Walker Long, James D. Francis and N.W. “Jack” Yates, the articles of incorporation of the Marshall University Foundation Inc. were established on January 3, 1947. Frank Hanshaw Jr., Tom and Nancy Hanshaw, and Sterling and Rosalee Hall were in attendance to represent their family members. Speaking at the event was Marshall University alumna and former scholarship recipient Ernay Adams, who is now a clinical assistant professor in Marshall University’s Department of Communication Disorders. Adams took this opportunity to thank donors for providing scholarships and additional support, which made her academic dreams come true. The Marshall University Foundation calculates lifetime giving totals annually. For a complete listing of our lifetime giving society members, please visitwww.marshall.edu/foundation.